Introduce a friend for a potential big win bonus. We could spend a lot of money advertising our product but we'd rather put cash back in the pot. 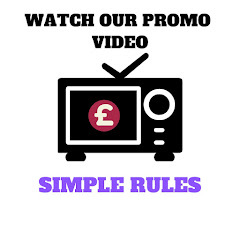 Tell your friends about our tipster competition. For over three years we have built an honest, professional, reputation - respected by old and new players alike. We've paid over £4000 in prize money. Given hundreds in free prizes, too. We can forward independent testimonials if needed. We help like-minded punters enjoy Saturday race action with a winner's bounty to add a touch of spice. 5 introductions per player referee - max one player per month. *New Player Definition: A player who has not paid entry for Bloodygoodwinner or Saturday Tipster Competition [Highclassequine.com]. If referring a friend, please contact me a couple of days before the start of the new month. Pay Entry Fee via Pay Pal Button (£10). Contact jason@bloodygoodwinner.co.uk with subject (Refer A Friend).